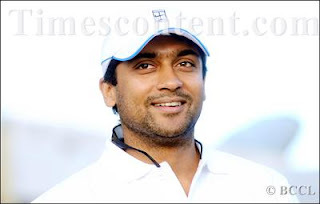 Film actors from North and South will participate in Celebrity Cricket League. Manchu Vishnu’s 24 Frames Factory owns Tollywood team. Venkatesh is its captain. Venkatesh is a cricket buff and whenever he finds time he will watch cricket in India and abroad. Surya will captain Tamil team, Artists Association is the owner. Puneet Rajkumar is owner and captain of Kannada Team. Salman Khan is the owner and captain of Hindi team.